HomePod- The best smart home speaker? 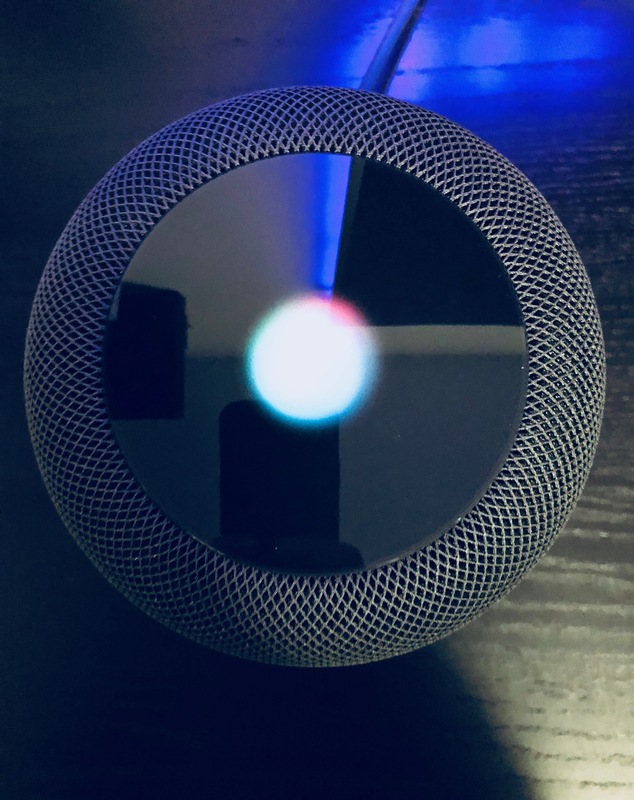 Apple has finally thrown their hat into the smart home speaker ring, but with an already saturated market, do they stand a chance to make an impact? Well, this is Apple we are talking about! They are never really the first to any market. The iPod wasn’t the first portable music player. The MacBook wasn’t the first laptop. The iPhone wasn’t the first smart phone. The iPad wasn’t the first tablet. But what Apple has done with each of these products is deliver a truly outstanding device that oozes quality and works far better than the competition, which are often less expensive devices, albeit less capable (arguably, and I’ll briefly explore this shortly). So, can the HomePod continue this trend and compete against some of the more established smart speakers on the market, which come at a much more pocket friendly price-tag? As with all Apple products, the unboxing is simple and quick; very Apple-like indeed. 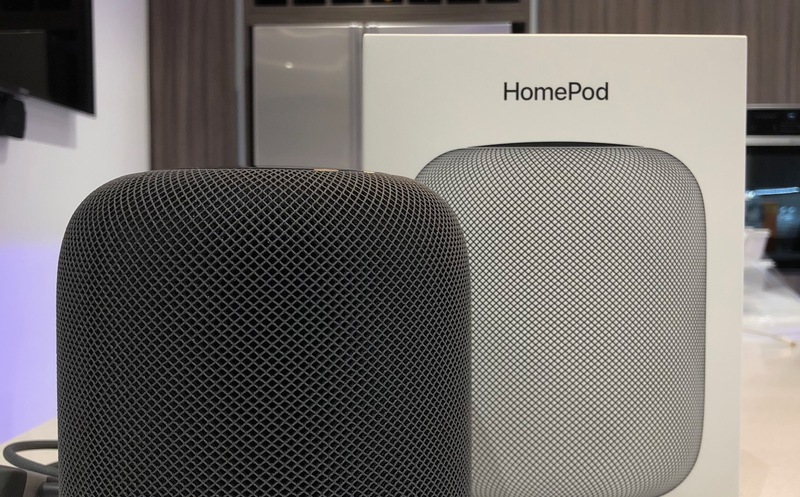 Once out of the box, the HomePod is much smaller than it looks in the pictures. It measures 6.8 inches tall, just slightly taller than my iPhone X. However, it is heavy for it’s size at 2.5kg. This makes it feel like a very solid and premium product. The base has an anti-slip rubber material with an Apple logo etched the bottom, and the top has controls for basic playback. There are no physical buttons, and all controls are operated through an LED touchscreen. The layout changes based on what the speaker is doing. Furthermore, the screen also displays a Siri animation (‘waveform’) to show you when it is listening. This is all wrapped in a woven fabric material which truly does look pretty amazing and premium. Siri has always been my smart assistant of choice. I am well aware that Siri is one of the weaker links (according to reviews) of the HomePod, however, for me personally, it has always been the best of the bunch. It has met my needs and I use Siri extensively on my iPhone, iPad and Apple Watch. And more recently, on my MacBook Pro. I have tested the HomePod briefly with a few tasks; to send a message, turn my lights on/off and read my iCal. So far, so good! Now this is the main marketing point of the HomePod, and what Apple are really pushing the device as; a speaker that is “the true sound of home”. It features 7 tweeters, 6 microphones and a high-excursion subwoofer, all powered by an A8 chip. This is the same chipset used to power the iPhone 6, so should provide enough computing power to tackle anything that may be thrown at the HomePod. I am no audiophile, but do appreciate good quality music. I have the Bowers and Wilkins MM-1 speakers on my desktop set-up, which I have found to be truly exceptional over the years. The Echos are very mediocre, but have served their purpose well and are definitely ‘okay’. The HomePod, however, is in another league. The bass is much more punchy and pronounced, the treble is well balanced and I can ear each and every chord, chime and acoustic in my music playback. It almost sounds amazing coming out of such a small package. The main gripe people have had with the HomePod is that it can only playback music from iTunes and Apple Music. No Spotify seems to be a deal breaker for many. I don’t have Spotify, but I also don’t use Apple Music either. The HomePod can however be used to stream music from your iOS device using AirPlay, but there is no bluetooth playback from other devices. I am very content with this, as iTunes is my main source of music playback, and I purchase a great deal of my digital content there with everything available on my iPhone/iPad. I have been using the Amazon Echo smart speakers since they launched in the UK in October 2016. I own 2 Echos, 1 Echo Show and an Echo Dot. This made me think long and hard before getting a HomePod, but this was always the plan (kind of). I have had quite a few frustrations, particularly with the Echo Show, were I just doesn’t pick-up my voice well. Many times have I had to say “computer” (my wake-word) repeatedly to get a response. I have also found Alexa to mis-hear what I say, despite speaking very clearly. Siri is much more responsive, and can respond to me from distances from which Echo cannot. I also have to speak much louder to get Echo to hear me, whereas the HomePod responds even when I speak at a more normal me. However, I have had no problems with the HomePod and Siri, despute speakng in a somehwat normal register. This is where the HomePod has picked-up the most criticism. It will come as no surprise that the HomePod is definitely built with the Apple consumer in-mind. For me personally, this is not at all a problem. Quite the opposite, in fact. I use a MacBook, iPad, iPhone, AirPods, etc. Everything works harmoniously together, and the HomePod is a welcome addition the this eco-system. Having Siri narrate/reply to my messages, add iCal entries and perform a number of other hands-free tasks I usually require my phone for is a huge convenience, particularly when I am unable to reach my phone. I can see why there is some scepticism surrounding the HomePod. There are cheaper alternatives on the market that can essentially perform the same tasks you would expect from a smart home assistant, such as turning the lights on, asking for the weather, etc. The HomePod also lacks some of the “skills” from a lot of 3rd parties that the Echo offers, and you need to decide how important these are to you. I personally am fully integrated within the Apple Eco-system. I use an iPhone, iPad, MacBook and have an iCloud account. With all of this, it is natural to lean toward Siri as my personal assistant of choice. Furthermore, the sound quality of the HomePod is truly exceptional. I did have some doubts about spending £319 on a HomePod. In comparison, I spent a total of £360 of the four Echo devices I own, so not a lot more! (I purchased most of these on offer). The HomePod really is a great device, but probably only if you’re well integrated into the Apple ecosystem, and if you are, will probably be prepared to pay the premiun price-tag.